The bad news is that President Vladimir Putin has done nothing to retract Russia's wildly homophobic anti-gay laws, despite it being pointed out that Russia is in direct contravention of Principle 6 of the Olympic Charter, not to mention the peace-promoting spirit of the Games in general. 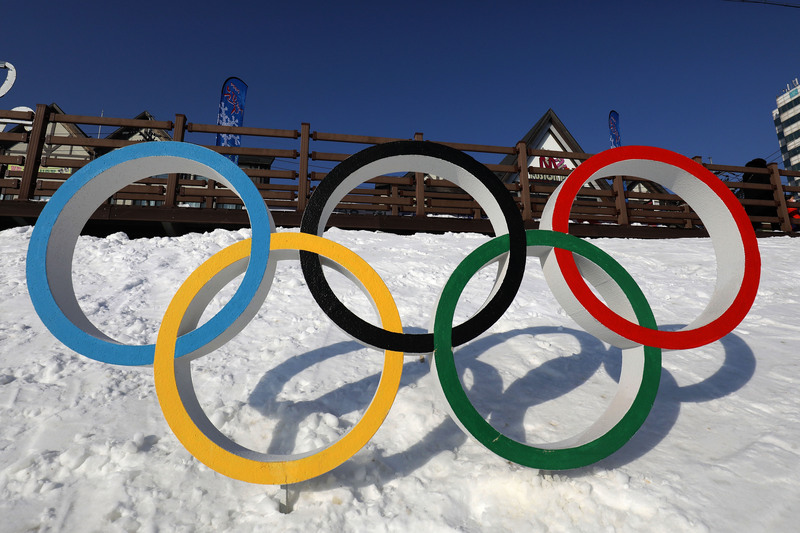 But there's still hope for the Winter Olympics: Criticism of Russia's policies, plus support for visiting athletes and Russia's LGBT community, has been widespread, international, and united. Despite having played for a mere three years at the time, openly gay beach-volleyballer Natalie Cook won a bronze medal when the sport debuted at Atlanta in 1996, and she's considered one of the first athletes to make beach volleyball a credible Olympic sport. Four years later, at the Sydney games in 2000, Cook took home a gold medal. She also competed at Athens 2004, Beijing 2008 and London 2012. Cook made history by becoming the first Australian woman to play on five Olympic teams, but retired after the London Games with two decades of professional play under her belt. Cook's been with her partner, Canadian beach-volleyball player Sarah Maxwell, for 13 years. She's spoken movingly about the significance of their non-legally binding marriage ceremony in 2008, prior to marriage equality being passed in Australia. In honor of her unique and unsurpassed volleyballing achievements, Cook was enshrined in the Volleyball Hall of Fame in last October. The 24-year-old took home a gold medal at the 2008 Olympics in Beijing for his performance on the 10-meter platform, where he also achieved the highest single-score dive in Olympic history. He was also one of only ten openly gay athletes competing at Beijing. A self-proclaimed "bromosexual", Mitcham was the Chief of Parade of the Sydney Gay and Lesbian Parade in 2009 and has been named one of the 25 most influential gay Australians. Speaking on Russia's anti-gay laws, he was recently quoted by the Huffington Post as saying: "The Olympics is the best experience you will ever have as an athlete. Their whole memory and experience is going to be marred by this stuff. They are going to be made to feel unacceptable, inappropriate, and it is a really awful, awful feeling." In a recent column for USA Today, Cahow, who is now studying law at Boston College, explained that a bout of concussive, sport-induced illness forced her to realise that she'd spent "nearly 10 years spent devoted to myself" and that she needed to pay it forward — namely in the protection and advocacy of LGBT and women's rights in sports. In Cahow's case, achieving her personal best is about contributing to more than her own pile of medallions. Openly gay from the outset, the 37-year-old German cycling veteran, who has competed in five Olympic games, might be better known for a one-fingered salute she once gave while crossing a finishing line. At the Athens Games in 2004, Arndt displayed impressive pluck by protesting against the Cycling Federation's decision to leave her then live-in partner, cyclist Petra Rossner, off the German team line-up. Arndt claimed that the reason the team went on to win a silver medal, rather than a gold, in the women's road race was because Rossner had not been selected. "Petra is the best sprinter in the world. I'm sad that she did not ride with me," Ardnt said at a press conference later. "I dedicate my medal to her." Cyclists don't take part in the Winter Olympics, but it looks like Arndt wouldn't have appeared in this Winter's Games regardless; back in June, she told German broadcaster Sport1 that everybody should boycott Sochi. Attending his second Olympic competition, Australian speed skater Blake Skjellerup will be at Sochi this year. In part, he credits his experience at Vancover in 2010 with helping him to become out and proud: "The Pride House [at Vancover] was instrumental to my coming out," he's said. "It helped me bridge the gap between Blake the Olympian, and Blake who also happens to be gay." Since then, 28-year-old Skjellerup has been bold and vocal about petitioning for LGBT rights — and he's dashing to boot. The outspoken Skjellerup recently partnered up with Athlete Ally, an NGO promoting LGBT rights and encouraging a boycott of the Games.